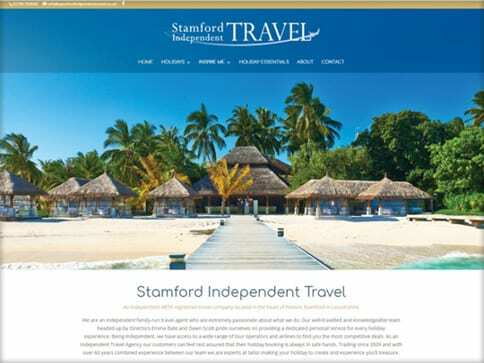 Our client wanted their new site to be a vehicle to promote the range of services they offer and provide ideas and inspirations for the perfect holiday. They felt their old site didn’t portray the level of service and range of options they provide, it also didn’t have an inviting aesthetic – vital in todays competitive marketplace. 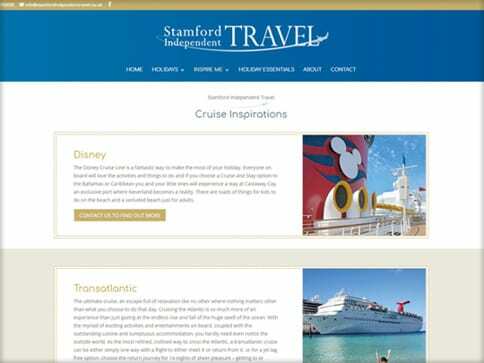 As a specialist business with detailed product descriptions, the new site needed clear navigation and high quality images in order to reflect the high standards of the business. 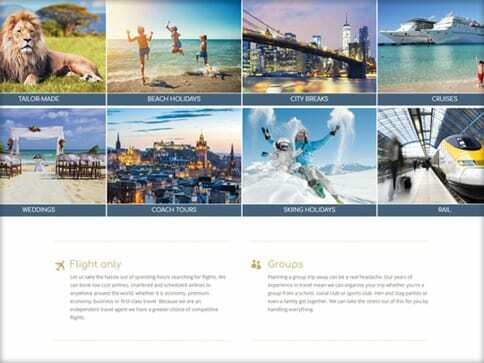 We implemented a strong visual style for the site and focussed on specific types of holiday as well as promoting popular destinations and regions to help engage any prospective holiday planner. The site now has all the content the client felt was missing from the previous site as well as sleek design and colour scheme reflecting the clients brand and professional standard.